Geneva: Speaking at the session of the Council dedicated to "Cooperation between the UN and regional and sub-regional organizations" the Secretary-General Ban Ki-moon said that "the challenges we face are too complex for any one organization or nation to address alone – hence the need for partnership and innovation." The Secretary-General said "the strategic partnership between the European Union and the United Nations "runs deep", adding in that "both organizations share common values and are committed to the peaceful collective management of security challenges." 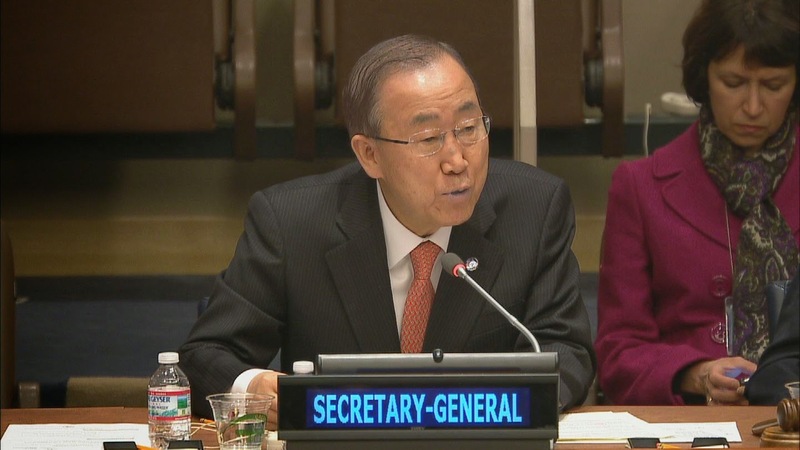 Ban said that the UN is "strongly committed to working with the European Union and all other players in helping to discourage the phenomenon of foreign terrorist fighters, who pose dangers within and beyond Europe." Federica Mogherini, High Representative of the European Union for Foreign Affairs and Security Policy, also addressed the Security Council. She said that "the time when super-powers thought they could split the world into spheres of influence is long gone" adding in "we need cooperation, more than ever. The new global order will be multilateral, or it will not be." On Libya, the EU representative said "Libya's political leaders should now make every effort to find the necessary compromises, to grasp this last chance and agree on a transitional national unity government." She said "this should happen within days, not weeks, as time does not work on our side." Mogherini also reiterated EU policy towards Ukraine. She said "we want to put an end to the conflict. We need to put an end to the conflict and to safeguard Ukraine's territorial integrity. But we also have to make sure that Ukraine becomes a functional state that honours the aspirations of its peoples."